Can I allow clients to add their own keywords? Yes. You'll just need to set the appropriate permissions within the client user's account in order to allow them to do so. 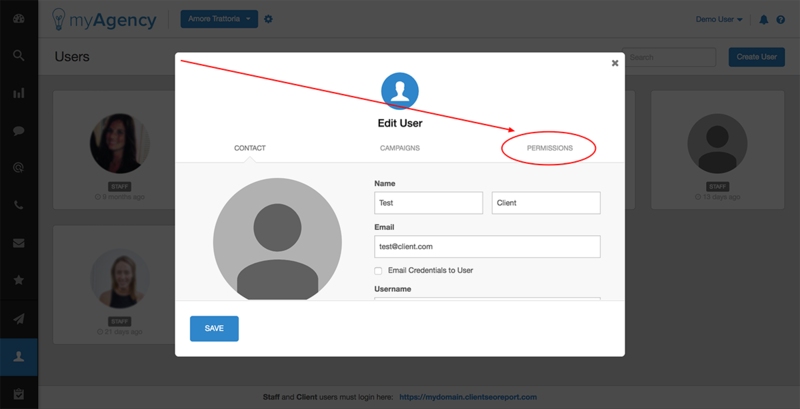 Please review this article on setting permissions for client accounts. To find the specific permission in question, start in your client user's permission tab. Then click "SEO", followed by "Rankings". 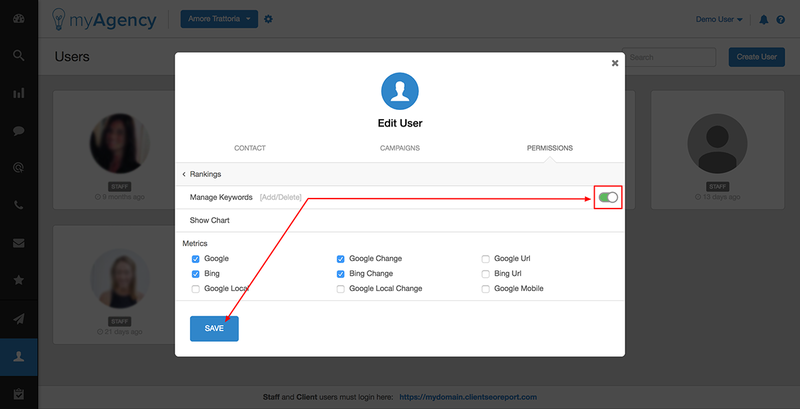 Finally, toggle the button for "Manage Keywords" from "Off" to "On".